WASHINGTON, DC, September 30, 2010 (ENS) – Both BP and the Obama administration aim to strengthen the safety of deepwater oil drilling operations with sweeping operational and regulatory changes announced over the past 24 hours. BP is creating a new safety division with sweeping powers to oversee and audit the company’s oil and gas operations around the world. The Safety and Operational Risk function will have authority to intervene in all aspects of BP’s technical activities. The company said the decision to establish the new safety function follows the Deepwater Horizon oil spill in the Gulf of Mexico and BP’s investigation into the disaster. The April 20 explosion killed 11 men, injured 17 others and set off the largest oil spill in history. At least 4.1 million barrels of oil gushed into gulf waters over 87 days. BP’s new safety division is one of a number of major changes announced by Bob Dudley as he replaces Tony Hayward as BP chief exective on October 1. Designed to strengthen safety and risk management across the BP group, the new division will have its own expert staff embedded in BP’s operating units, including exploration projects and refineries. It will be responsible for ensuring that all operations are carried out to common standards, and for auditing compliance with those standards. Dudley said that BP will carry out a detailed and wide-ranging review of how it manages third-party contractors. It will also conduct a fundamental review of how the BP Group incentivizes business performance, including reward strategy, with the aim of encouraging excellence in safety and risk management. BP’s costs for responding to the incident and paying claims has topped $9.5 billion and there are about 400 lawsuits pending. Today in Washington, the Department of the Interior announced two new rules that are intended to help improve drilling safety. One strengthens requirements for safety equipment, well control systems, and blowout prevention practices on offshore oil and gas operations, while the other aims to improve workplace safety by reducing the risk of human error. The Drilling Safety Rule is being issued under an emergency rule-making process. Officials say the agency will soon move forward with a standard rulemaking process that includes greater opportunity for public comment. “These new rules and the aggressive reform agenda we have undertaken are raising the bar for the oil and gas industry’s safety and environmental practices on the Outer Continental Shelf,” said Secretary of the Interior Ken Salazar, who announced the rules today in a speech at the Woodrow Wilson International Center. 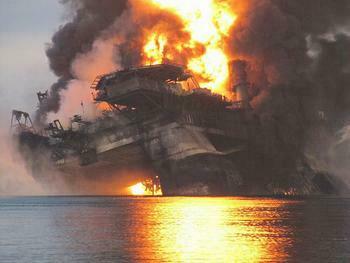 The Drilling Safety Rule and the Workplace Safety Rule join other reforms that the Department of the Interior has undertaken in the five months since the Deepwater Horizon oil spill that touch every stage of the offshore planning, review, permitting, drilling, and development processes. “These two rules are part of a broader series of reforms we are undertaking to reduce the risks of offshore energy operations,” said Michael Bromwich, director of Interior’s Bureau of Ocean Energy Management, Regulation and Enforcement. The American Petroleum Institute, representing more than 400 oil and gas companies, said the new rule should establish an effective process to improve safety performance while providing the framework needed for companies to get approval from the government for exploration and development projects.